I spend hours and hours of my day on social media and about 70% of that time is spent on, well you guessed from the title, Instagram. Looking at social media platforms, Instagram is fairly new compared to ones like Facebook and Tumblr, but is turning into one of the most popular and frequently used applications out there. There are over 300 million monthly active users and an outstanding 75 million daily users. Now enough of the statistics, lets get to the point of this post. A lot of my Instagram followers are lifestyle and interior accounts so today I thought I’d share a few with you to kick start your spring inspiration. First on my must follow list is @Koentadyy. 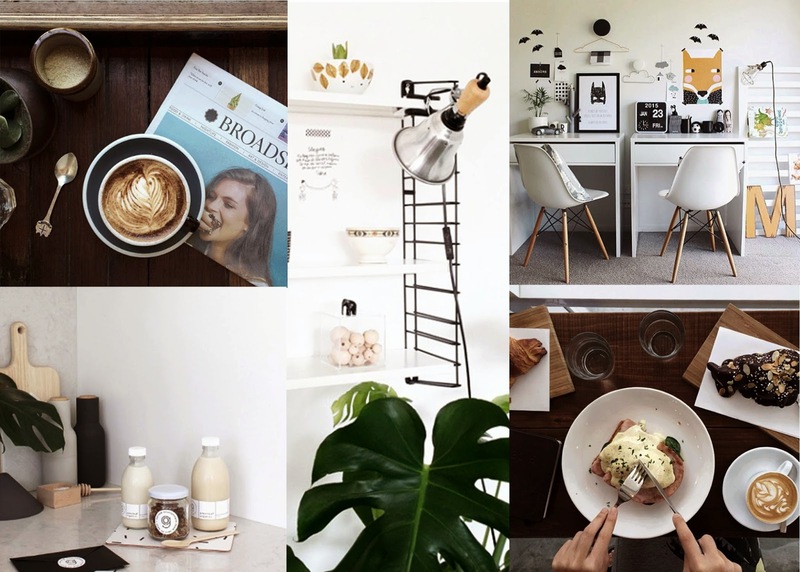 This is a lifestyle page that posts daily contributions all about food, travel and lots of coffee! Based in Australia, Koentadi has beautiful photography skills that shine his modern, contemporary style though every single photograph. Another favourite of mine is @stylizimoblog. Nina posts daily staples of her home inspiration which gives me so many of my own interior ideas. She has a contemporary eye in creating a comfortable living space that has that simplistic feel to it. Nina also has an award winning lifestyle blog over at www.stylizimoblog.com. Moving on, @thedesignchaser is another favourite of mine by Michelle Halford. Michelle, also like myself has a love for white white white. Her photographs are contemporary and finds inspiration for any space in the house. I love her style and eye for simplistic approaches to the modern home. Finally and last but not least, another lifestyle/food/photography account I am loving at the moment, @cannellevanille. She loves a bit of birds eye view photography which is another love of mine, that has an amazing taste in interiors, food and style. Let me know if you have any favourite Instagram accounts I’m always up for discovering more! Previous Post LUSH Middlesbrough Event.